Dr. Durr Elmore, D.C., N.D, LAc, DHANP, CCH is a classical homeopath. He graduated from the National College of Naturopathic Medicine in 1984. He completed the International Foundation for Homeopathy (IFH) course in 1984, took the Hahnemann College of Homeopathy (HCH) course, and the New England School of Homeopathy (NESH) course. He has studied with George Vithoulkas, Vassilis Ghegas, Jeremy Sherr, Paul Herscu, and Henny Heudens-Mast. 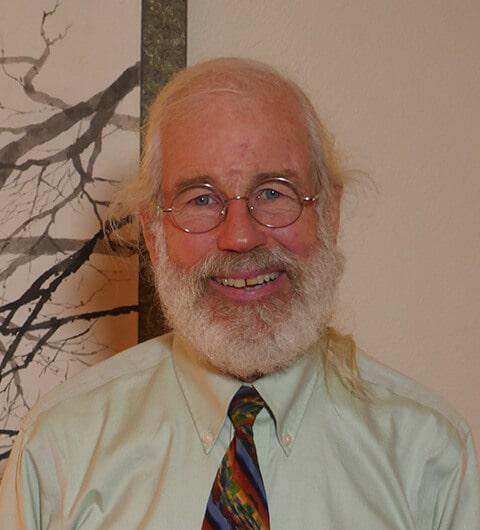 Dr. Elmore has taught Homeopathy at NCNM since 1984 and continues to teach and conduct a homeopathy shift at the NCNM clinic. He founded and taught A Course in Classical Homeopathy in Orlando from1995 to 2000. He taught homeopathy at Bastyr University from 2010-2013. He is a founding member of the Council for Homeopathic Certification (CHC) and is Certified in Classical Homeopathy (CCH). He served on the board of the IFH, and was a regular writer for Resonance. He was the president of the Homeopathic Academy of Naturopathic Physicians (HANP) for 7 years, is a Diplomate of the HANP (DHANP), and founded and edited the journal Simillimum for 9 years. He was awarded the Naturopathic Physician of the Year award by the AANP in 1990. He practices in Mulino, Oregon.